At first glance it just looks like a bunch of mates, hanging by the lake with beer and cigars in hand. • Can you spot this mum's unfortunate mistake on her advert for selling furniture? 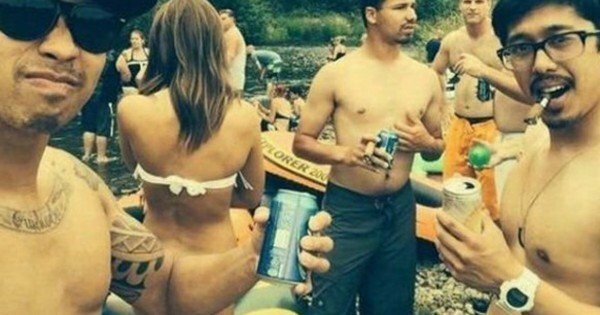 Yep, it looks like that guy's arm is the female's bum!